A trademark is a word and/or logo that helps people identify your brand (which for our purposes is your band). Sometimes things such as sound and color can be trademarked as well. So in theory, if you always start your shows with a very specific and distinct riff to let listeners know without a doubt that it's your band, you could technically trademark that too! Unlike copyrights, trademarks evolve from use instead of creation. The difference between the two is that when you write a new song down, it automatically has some copyright protection, whereas when you think up a cool name for your band, it has no trademark protection until you actually start to use the name publicly. After you start to build public awareness, you can apply for federal trademark registration. A trademark is generally granted to the first person/company who uses the trademark in commerce, so if your band has already been performing in public or selling CDs and merch, you may already have some trademark rights in the geographic regions where you perform music and do business. Why trademark your band name? If you intended to buy tickets to The Rolling Stones, you would be pretty unhappy to find out you had accidentally bought tickets for the kiddie sing-along by an unrelated group called Rollin’ Stone! Trademark protection prevents bands with confusingly similar names from frustrating fans and taking business away from each other. It grew out of consumer protection and fair business practice laws, and is meant to make things less confusing and more fair for everyone. Since trademark rights apply to the region where you do business, it's possible for multiple bands with the same name to legally have registered trademarks. This could be problematic if you dream of making it big and becoming a national or international presence. Successful federal trademark registration may grant you the ability to stop most people from using your band’s name at a national level, thus offering more protection in the event you decide to tour nationally. Another good reason to trademark your band name is that if you do become a huge success, you can license your trademark to make even more money. 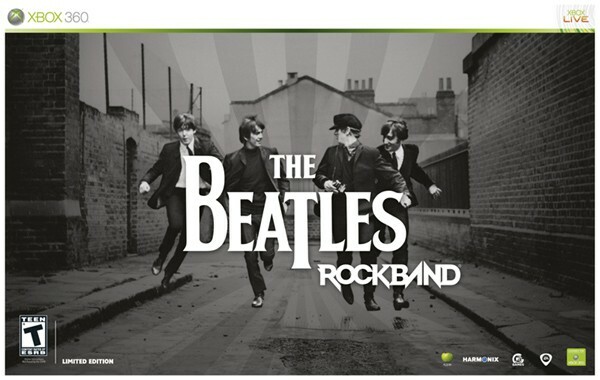 Successful bands such as the Beatles (and their heirs) continue to enjoy money by licensing their trademark to companies – just think of how much money Rock Band had to pay to use The Beatles' trademark on their best-selling video game! Think of a name that is eligible for trademark protection. Your band’s name cannot be generic or very descriptive. For example, you are very unlikely to get a trademark if you name your group "BAND." The more fanciful (made up words like Coachella) or arbitrary (like The Beatles), the more likely your band name will be eligible for trademark protection. Do research to find out if others are using your name. To find out if someone else has the same or similar name to your band, do several Google searches using a variety of keywords. After your preliminary search on the web, do a similar search using the United States Patent and Trademark Office's Trademark Electronic Search System. You will find companies that had or currently have the same or similar trademark, and the types of products and services covered by their trademarks. Trademark is meant to avoid customer confusion, so if there is a chance people might confuse your band for another existing band or product, then start thinking up new names! If your dream name is taken, reinvent yourself! If an existing company or band already has a similar name to the one you want, consider where they operate and what they make/do. If you would both be operating in similar geographic regions, then find a new name. Definitely don’t use a name that is already being used by someone in the music/entertainment industry, but beware of non-music related companies too. Customers might confuse similar names with some sort of product endorsement. For example, if you name your band “Coca-Cola,” people might assume that you are in some way connected with the fizzy drink giant! The greater the possibility of confusion, the less chance you have of getting a trademark. Start using your name in public. Make sure to keep some evidence of the public use of your name like posters, tickets, CD orders and anything else that proves that the public knows who you are. Consider consulting a trademark/intellectual property attorney. You can file a trademark registration yourself, but just be aware that there are a lot of forms. Attorneys experienced in trademark applications know how to get you the most protection. The Beatles hold several trademarks that include use on everything from records to makeup and even underwear! Consult an attorney to get the most trademark protection from your application. File a trademark application. You can file a trademark application via the online Trademark Electronic Application System. In addition to filling out forms, you’ll need a filing fee of $275-$375 (details here), a drawing of your logo or band name if it is stylized, and proof that you have been using your band name commercially/publicly. Police your name. Once you are granted a trademark, it is your duty to police the mark by taking people to court who try to use your name commercially without your permission. Someone using your band name as part of a news article or interview is fine, but when someone starts to sell trinkets featuring your band name, they should get your permission first or suffer the legal consequences. For more information on the trademark application process, visit the United States Patent and Trademark Office website. If you've got 40 minutes to spare and want an in-depth crash course on all things trademark, watch their trademark video.